Truly a fresh and soothing seafood menu board. The blue and white combination provide a unique elegance and sophistry. 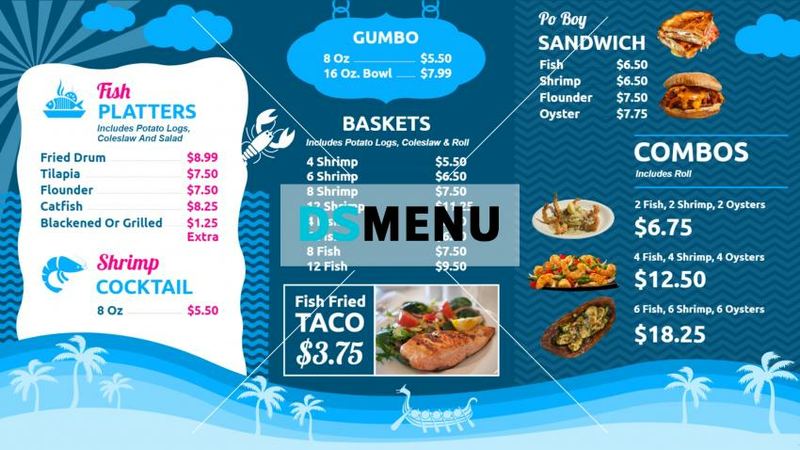 The scintillating visual appeal on a digital signage menu board will make this menu board the talk of the town. The menu is equally eclectic with fish platters, fried fish, sandwiches and combos. You can expect Tom Cruise to drop in !